Bequeathing your loved ones everything you own doesn’t have to be public knowledge and it takes months or years to conclude. These attributes make the living trust a worthwhile arrangement. While the usefulness of this document is quite clear, making it a reality requires both conscientious effort and some insight about the trust. Apparently, you can choose to do this on your own but hiring a revocable living trust attorney is a better option. Being an expert, he/she will have knowledge about the steps to take towards obtaining a valid living trust document. This brings Rawa Law Group into the picture. We have world-class attorneys who know their jobs, and they are willing to put in their best to deliver results every time. The Rawa Law Group has stood the test of time and for reasons which everyone in Lancaster can confirm. We know what our clients need and exactly how to go about it. With lawyers who are familiar with the stipulations of the laws of California and the United States, your desires regarding the creation of a living trust will surely be met. 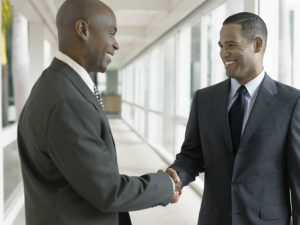 We consider our clients as partners in progress, and we fulfill our part of the bargain. When your revocable living trust has been created, the issues of a trustee would always suffice. Initially, you would take on a pioneering role as the trustee, but this will change on your demise. The living trust allows you to replace trustees even from the grave through the insertion of clauses. Want a living trust created for you as soon as possible? Get in touch with us at Rawa Law Group through the details below.